Farmers would no longer have to fret when the surging river water inundates their fields as scientists are working on rice varieties that are hardy and would grow in fields which have been submerged by flash floods. Dr Nitendra Prakash of crop research station at Bahraich, Uttar Pradesh told Governance Now that Madhukar, Sona and Badh Awarodhi paddy varieties are for areas which are flood prone. He said that they are working on three distinct types of rice. One is for areas where there is more than one metre water logging, while the second variety is for those areas where the water logging is between 50 and 100 cm. The third type is for areas where flash floods take place. Dr Prakash explained that there is a type of rice variety called Jal Magna, which shows considerable growth spurt. This particular paddy variety can grow as much as 26 cm in 24 hours. 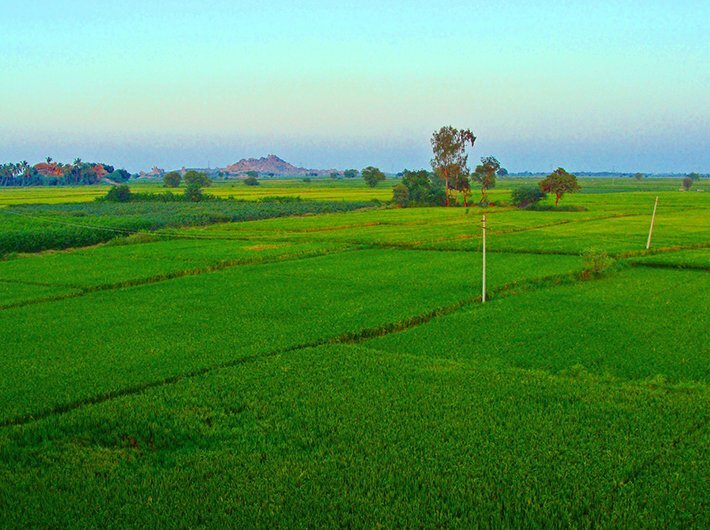 “We develop paddy varieties which have submergence tolerance. The varieties developed by us are now being used by farmers in eastern Uttar Pradesh, Bihar and Assam,” he said and added that the rice variety NDGR 201 is quite popular. India is one of the world's largest producers of white rice and brown rice, accounting for 20 percent of all world rice production. Rice is an important crop of the country. Rice production increased from 53.6 million tons in FY 1980 to 74.6 million tons in year 1990, a 39 percent increase over the decade. By year 1992, rice production had reached 181.9 kg, second in the world only to China with its 182 kg. Union agriculture minister Radha Mohan Singh said in September 2016 that total production of Kharif rice is estimated at 93.88 million tonnes which is a new record.